It isn’t hard to get one of those OLED displays from eBay or another place. They are usually controlled by SSD1306 chip – one of the most popular. Such displays could be used for a number of things – from just learning to control them and showing some text/numbers/graphics, display sensors’ data or even creating a small game. Back in 2014, we wrote a small library for the ATtiny85 microcontroller to work with such displays and we called it SSD1306xLED after the name of the controlling chip for the display. This library works with the display modules that use the I2C protocol. This is important to know since there are other similar displays that use the same SSD1306 controller but communicate over the SPI interface. In that case, our library will not work. We use, in most cases, the modules with 4 pins – GND, Vcc, SCL, SDA. Although using the I2C interface, our SSD1306xLED library does not implement the I2C protocol but just a subset of it enough to accomplish the task of sending commands and data to the display. This comes with 2 great advantages: (1) it is super fast; (2) is super small – more details about those characteristics will be outlined below. This is a small sub-library that implements a subset of the I2C protocols that is necessary to send some commands and data out. I2CSW stands for “I2C Simple Writer” and as its name implies it only writes out. There are 2 macros to sent the SCL and SDA wires to high and to low, or, or 1 and 0. The i2csw_start function sets the SCL and SDA pins as output and the “start” condition. In other words, it lets the devices connected to the microcontroller know that we are about to send something out. The i2csw_stop function sets the “stop” condition. This indicates that we have finished with sending the data. It also set the SDA pin as input so it won’t keep the SDA line at HIGH all the time. The i2csw_byte function sends one byte of data out. It is used to send commands and data to the I2C devices – the display in our case. NOTE: The I2CSW library does not handle the acknowledgment condition. The ssd1306_start_command function indicates to the connected I2C devices that we’re about to send commands. This is used to configure the controller o to set some parameters such as the current position on the display. The ssd1306_start_data function indicates to the connected I2C devices that we’re about to send some data. This is used to send some data to the display controller – like bitmaps or text. The ssd1306_data_byte function sends 2 bytes of data to the display controller. That is used for both commands and data. The ssd1306_stop function indicates that we have finished transmitting data. The ssd1306_init function sends a sequence of commands that will initialize the display controller so it will work the way we expect. The ssd1306_setpos function sets the current position on the display. Sending data after this command will display it at that position. The ssd1306_fill4 function fills out the screen with the 4 bytes specified as parameters. The reason for 4 bytes is that it is convenient for filling out with patterns. — ssd1306_clear() – clears the screen, i.e. fills it out with “0”. — ssd1306_fill(p) – fills the display with the specified byte. — ssd1306_fill2(p1, p2) – fills the display with the 2 specified bytes. The testing scripts demonstrate the purpose and usage of those functions. This testing script demonstrates the use of the functions in the library. The first section fills out the screen with random values using a Linear congruential generator. The second section fills out the screen with a sequential number that creates some patterns on the screen. The next section fills out the screen line by line. The last section fills out the screen with various patterns. There are more functions in the SSD1306xLED library such as for printing text and numbers on the screen and drawing images but that will be subject of another article. 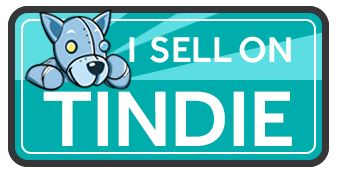 The Tinusaur Project is an educational platform that provides students, teachers, and makers with the tools to learn, teach and make things. We’ve been developing this since 2013 and it started because we needed such tools for our own courses. It is now used in a few schools and universities, both private and government in Bulgaria. The education, whether formal or informal, has always been the focus of the Tinusaur. Naturally, the BETT Show in London is one of the most interesting events of the year in that field. The BETT Show is an annual trade show focused on innovations and technology in education. It takes place in London, United Kingdom, and started in 1985. The Tinusaur team is at the BETT Show, of course, for the second time and it is great here! What you immediately notice is that everyone has some sort of a robot – a car that you could control to make movements based on an algorithm, or a human-like stumping robot. And those who don’t have a robot – have at least a snapping blocks with electronics like LEDs, motors, servos, etc. that you could program with a Scratch-like environment. This sort of toys becomes a standard for education in electronics, robotics, and programming. To us, this is a bit disconcerting. Most of those products turn education into a game or playing. Gamification is not just creating a game with which you might (or might no) learn something. It is rather implying the using of game-design elements to improve the process of learning without compromising the process of acquiring knowledge. Another concern that we have is that once you’re done with the playing and you have accomplished the task part of the educational toy you have to put it away and that’s it – you cannot use it to create something useful and practical. We, at Tinusaur, are trying to avoid the downgrading of the educational part. That is why our kits may look a bit difficult and tedious at first. For the same reason, we decided to focus on C language programming, instead of some other scripting language. Another thing we’re trying to do is make the kits equally good for learning and making. We think this is what makes us different. Our goal, from the very beginning, has been to create a platform where everything you learn and create could be used at a later point for something real, useful and practical. And over the years we found out that students really appreciate that. The Tinusaur OLED Display Kit is a very good example for that. You learn how to solder and assemble the boards and the modules. You learn how to program the microcontroller, read the sensor data and visualize it on the display. You could later use the boards and optionally add other sensors and create something that you could use at home. We have just launched a crowdfunding campaign for the Tinusaur OLED Kit. Help us start the production of the Tinusaur OLED boards. 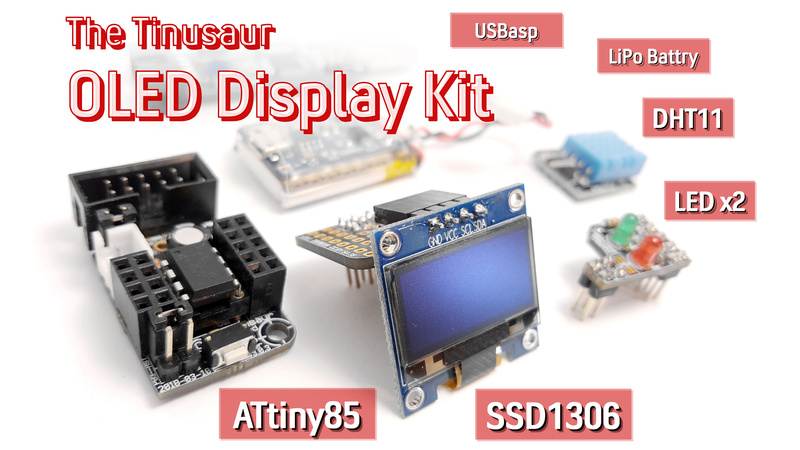 Go get your own Tinusaur OLED Kit. Meet the Tinusaur team at the FOSDEM in Brussels, Belgium on February 2nd and 3rd. Would you like to contact us and meet at the event or have a question about our platform? Fill out the form below.